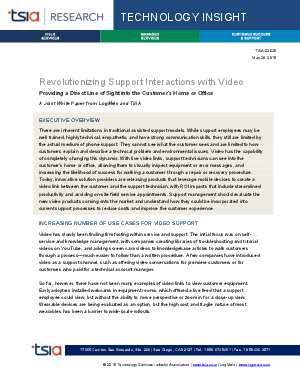 There are inherent limitations in traditional assisted support models. While support employees may be well trained, highly technical, empathetic, and have strong communication skills, they still are limited by the actual medium of phone support. They cannot see what the customer sees and are limited to how customers explain and describe a technical problem and environmental issues. Video has the capability of completely changing this dynamic.